Opposition politicians threw tear gas canisters in Kosovo’s parliament chamber in a bid to prevent other deputies from ratifying a border agreement with Montenegro. 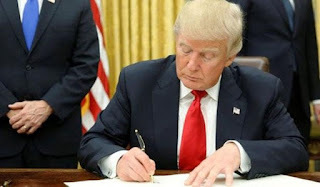 U.S. President Donald Trump on Tuesday signed a "Buy American, Hire American" executive order in Kenosha, Wisconsin, initiating visa and government purchase reforms. The United States on Thursday started implementing changes to the US Visa Waiver Program (VWP) for citizens of 38 foreign countries.